Hello! Welcome to A Sampling Bee! Today, I share with you nut free snacks for Skeeter Nut Free! 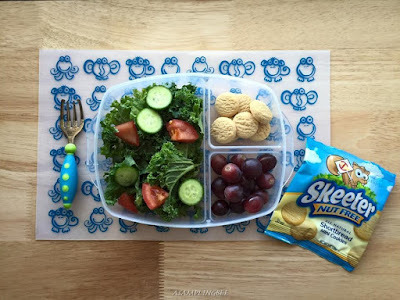 Skeeter Nut Free snacks are the perfect size for small hands. Which makes them perfect for school lunches, on-the-go snacks or as classroom birthday party treats. Skeeter Nut Free snacks are made from natural ingredients, whole grains and do not contain any high fructose corn syrup or trans fats. They're also 100% nut free. Your kids will love them! Skeeter Nut Free was founded by two dads in 2012. These two dads were frustrated with the lack of nut free products available for their kids who have nut allergies. So, they created a line of nut free snacks! 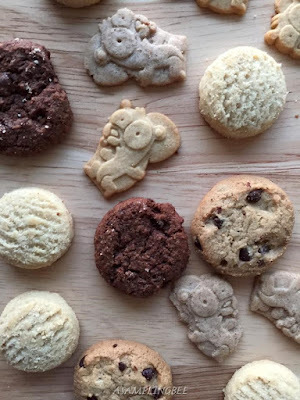 These snacks include cookies and grahams. As of right now, Skeeter Nut Free snacks are available in 5 delicious choices. The grahams are available in Honey and Cinnamon. The cookies are available in Double Chocolate Chip, Chocolate Chip and Shortbread. Kale salad with mini cucumbers & tomatoes, grapes and Skeeter Nut Free Shortbread Cookies. 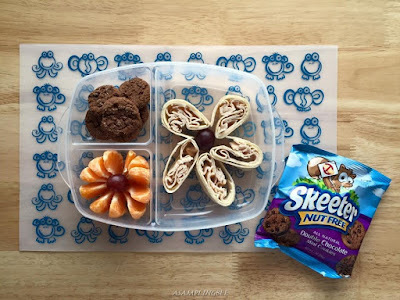 Turkey & cheese wrap with grapes, a Cutie clementine and Skeeter Nut Free Double Chocolate Chip Cookies. Avocado Hummus with carrots & celery, cantaloupe and Skeeter Nut Free Chocolate Chip Cookies. With Skeeter Nut Free snacks, the possibilities for fun, tasty school lunches are endless! Satisfy your child's appetite without having to worry about an allergic reaction. 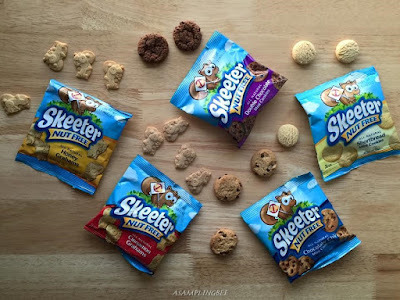 Skeeter Nut Free snacks are wholesome, delicious, safe and affordable. So whether you are attending your child's soccer game, ballet lessons or a play date, bring Skeeter Nut Free snacks for all to enjoy. Worry free! This is a sponsored post on behalf of Skeeter Nut Free. All opinions are my own. Always! My kids usually buy lunch, but I have to send them in with a snack. These sound perfect. YES! 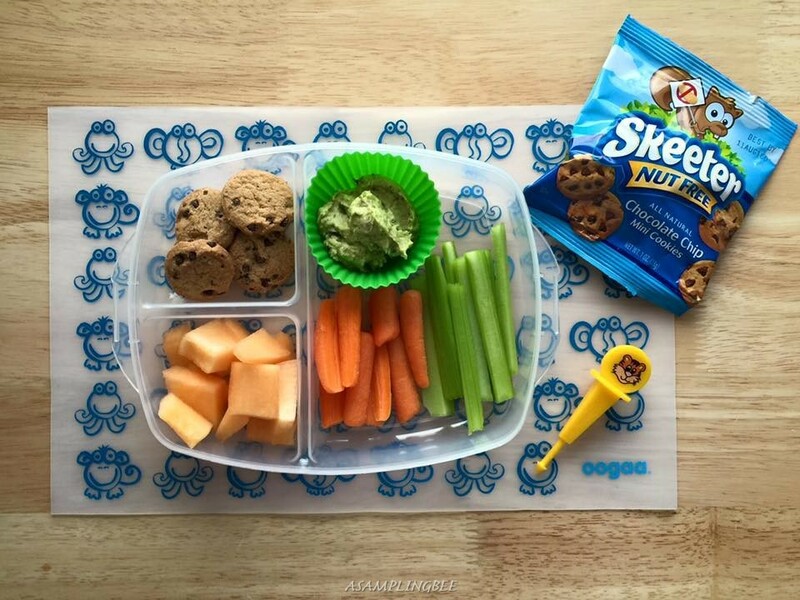 Love that you shared this delicious nut-free snack! We have used it for our nut-allergic boy for his school snacks and for birthday parties! Thanks Cindy! Great idea to use them for birthday parties! We have to be nut free in my son's class. His friend has a terrible allergy to nuts. This is a great idea for snacks for him and the whole class. They are perfect to bring into your son's classroom for a birthday treat! How cool is it that 2 dads started this company?! Usually it is the moms who are frustrated. Way to go, dads! This is the perfect snack for kids with allergies. I love that there are a lot of variations too. Thanks for sharing your experience with their products. Aww, these are perfect for school lunches. I'd definitely send my kids to school with these. 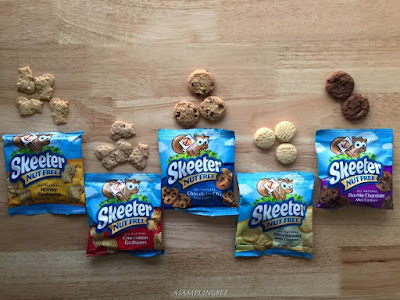 Never heard of Skeeter nut products sounds like a great snack and for in between meal treat. They're perfect for a midday snack! I'm happy that my son does not have any allergies but these sound like a cool snack for kids that are. They're a good snack with or without a nut allergy! this is a great product. I sometimes give my daughter foods with nuts and always tell her don't share or ask friends if she have nut allergy. i have relatives who can't travel often coz there's nuts everywhere. With these, she can share with her friends :) Please try them! I'll have to try some of these for the grand kids. I haven't seen these before around here but I'll look for them. These look great! My nephew is allergic to nuts so we have to be conscious about the snacks we keep in our house when he comes over. We will have to try these. My son would love it, this is his kind of his snacks at all time. Yummy! My nephew would love this one,it's healthy and tasty at the same time. That's nice that they took matters into their own hands. Go dads! This is an awesome snack idea! While we home school and neither of my children have allergies, we do have family and friends with allergies so it's nice to find fun alternative for play dates! These are great since many schools ban peanut products. I'm loving your lunch ideas as well.